A&B Sign | A & B's top priority is your business image. 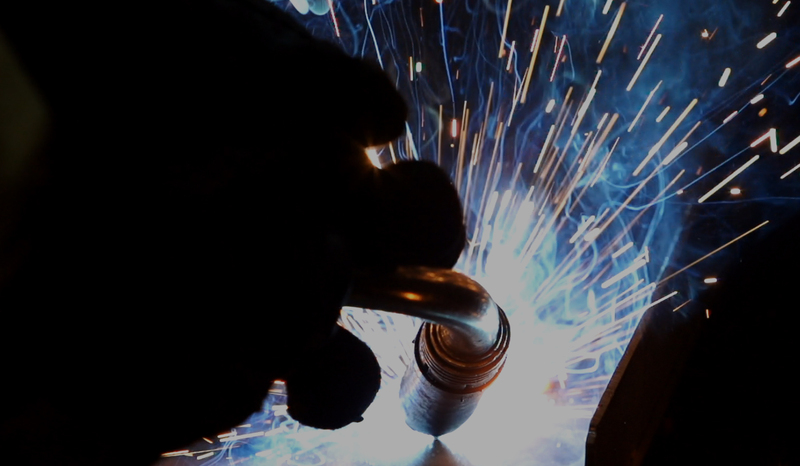 We have a state of the art production facility, including an in-house neon department, paint booth and mixing station, flat bed router, and other pieces of automated equipment. Every product comes with a warranty, and our promise that we will treat your business as our own. Your complete satisfaction is our goal. That is why every product comes with a warranty, and our promise that we will treat your business as our own. This philosophy enables us to maintain a growing list of loyal customers. Let us help create and display the image your company deserves. Your company’s recognition is our business! Put our experience to work for you! 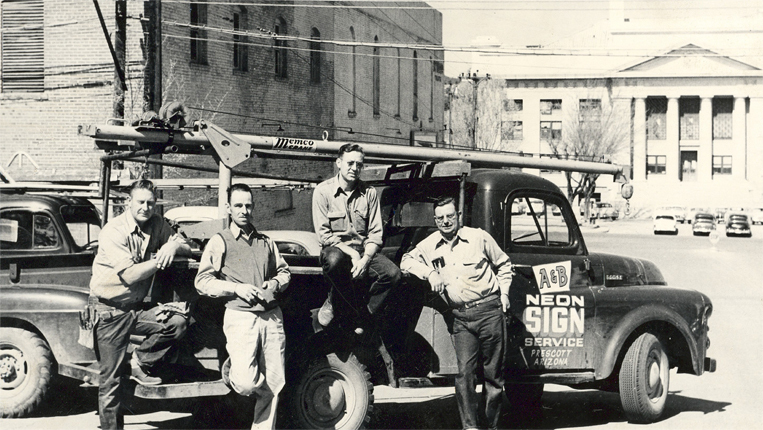 Our business originally started as a custom neon shop by Arnie Wieweck (A) and Ben Mersereau (B). 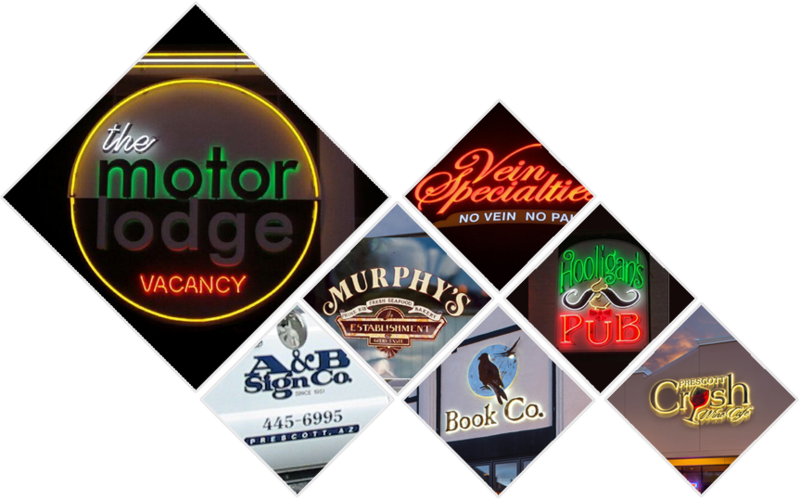 Today, as a third generation business, we can provide signage solutions for any need or budget. Our objective is to produce a quality product at a fair price. Fast, friendly, local, professionals with years of experience that did a fantastic job of reconditioning our sign. We always say, seeing is believing so check out our sign on the corner of Rosser and Willow Creek Rd. A & B Sign Company recently completed our sign on the side of our building. They did an excellent job and completed the project on time as contracted. We are very pleased with the sign. They are easy to work with and very professional. We highly recommend them to everyone looking for signage.